We talked on our first day on this unit about what Industrialization, urbanization, and innovation meant. Those three words are at the core of what the unit is all about. I have provided some in class resources that we will be using as well as some links to various sites that will provide some enrichment for you while we cover this unit. http://www.history.com/topics/industrial-revolution - History channel's site with some good videos for you to explore. Take the time to look around on the site, look for something that you might be interested in. One of my favorite places to go is wikipedia.org. Try some searches like American Industrial Revolution, you will see a lot of the terms that come up in class and a lot more - you can click on a word that is highlighted blue and it will take you to a whole other page on that topic (thats where I get lost on the site sometimes and don't know where I started). 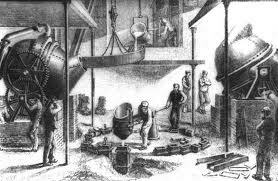 There was also an Industrial Revolution that went on in Europe - if you type in Industrial Revolution it will bring up a mainly European based article that you should find interesting and connect the fact that the other parts of the world have developed much like the United States. region. Drawbacks that trains did not possess were that transportation was limited in location and direction and canals took longer to build than laying rail. ?’s How did the canal development promote the development of urbanized areas of the North? Name 3 towns that you can find on the map of canals that are major cities today. Notes: Trains were a great way to transport goods, and unlike canals rail could be laid where it was necessary. The Transcontinental Railroad opened up the west and linked the Atlantic and Pacific Coasts. ?’s How could the connection of East and West Coasts help American businesses? Why was it important to have factories and trains located next to each other? Why would someone consider the replacement of canals with rail an improvement? Notes: The mechanical reaper allowed for the quicker harvesting of crops, which meant that more could be farmed with less human labor. 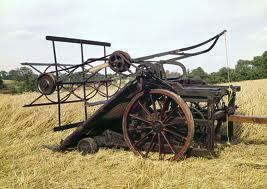 The cotton gin also allowed for this, however had a more negative side effect than did the mechanical reaper. have on the labor supply of the factories? 50 times their previous amount. How did this increase the need for slave labor in the plantation economy of the American South? Notes: After reading the provided piece, in your own words define an interchangeable part. 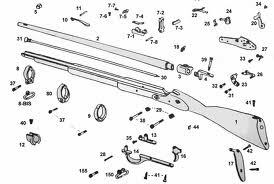 Interchangeable parts are parts (components) that are, for practical purposes, identical. They are made to specifications that ensure that they are so nearly identical that they will fit into any assembly of the same type. One such part can freely replace another, without any custom fitting (such as filing). This interchangeability allows easy assembly of new devices, and easier repair of existing devices, while minimizing both the time and skill required of the person doing the assembly or repair. become an important element of some modern manufacturing but is missing from other important industries. Interchangeability of parts was achieved by combining a number of innovations and improvements in machining operations and the invention of several machine tools, such as the slide rest lathe, screw-cutting lathe, turret lathe, milling machine and metal planer. Additional innovations included jigs for guiding the machine tools, fixtures for holding the work piece in the proper position, and blocks and gauges to check the accuracy of the finished parts. allowing higher speeds, making modern large scale manufacturing possible. Modern machine tools often have numerical control (NC) which evolved into CNC (computerized numeric control) when microprocessors became available. Methods for industrial production of interchangeable parts in the United States were first developed in the nineteenth century. The term American system of manufacturing was sometimes applied to them at the time, in distinction from earlier methods. Within a few decades such methods were in use in various countries, so American system is now a term of historical reference rather than current industrial nomenclature. ?’s How could this concept have an effect on production if a machine stamped out exact pieces and someone assembled it versus creating individual items every time by a person that knows how to do it? How did the machine take out the need for human knowledge of how to make something? temperature of the iron mass and keeps it molten. How did the explosion of rail line coincide (happen at the same time) as the invention of the Bessemer Steel Process? Up until this time, buildings were made of wood, surrounded by either more wood or brick. How could replacing wood with steel increase the strength of buildings? What could happen to a building’s height when steel was used for its frame? 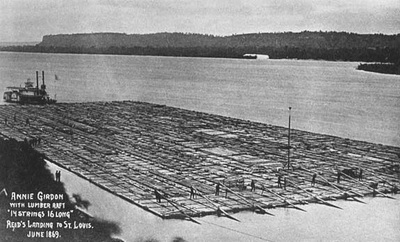 ?’s: Telegraph lines were a simple system of sending an electronic message across a copper line. Describe some negative issues that may arise from telegraph lines. Describe some benefits businesses would enjoy as a result of this invention. ?’s: Unlike a human worker, a steam engine was a constant supply of energy that would propel a factory machine, a boat’s propeller or a train’s wheel. How was this a benefit to the owners of business that relied on transportation and factory production? How would a steam powered machine be more “predictable” than a worker would? Blue Text - Ch. 10 Sec. 4 Pgs. 314-317 - Read the section of the text about the War of 1812. 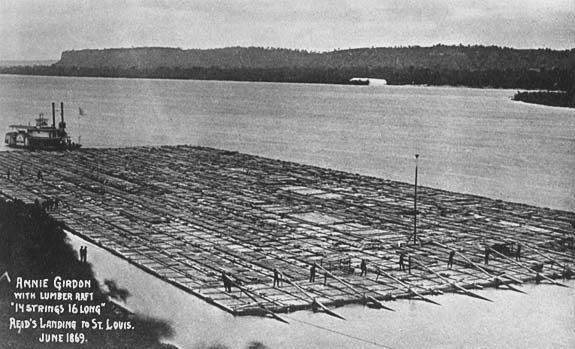 ?’s: How could the blockade of American ports by British ships create a problem for American businesses? Do you think there is a connection between the war and the growth of American factories? How? If the factory decreased the need for knowledge on the human end, how did this impact the education level required for someone to make it through life? What type of life do you predict they had? Compare to a modern example of someone not having an education, what type of job might they have if they really didn’t need to know much in order to do it. In 1781 James Watt patented a steam engine that produced continuous rotative motion. 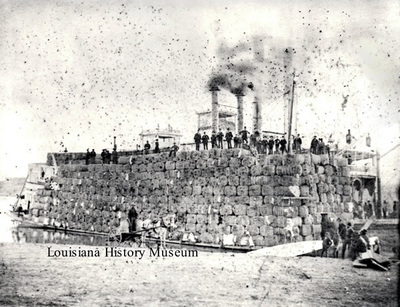 Watt's ten-horsepower engines enabled a wide range of manufacturing machinery to be powered. The engines could be sited anywhere that water and coal or wood fuel could be obtained. This would later be used on vehicles such as wagons on rails – known as trains, and boats – known as steam boats. What benefits can you see of the power of steam versus animal or man power? A cotton gin is a machine that quickly and easily separates cotton fibers from their seeds, allowing for much greater productivity than manual cotton separation. The fibers are processed into clothing or other cotton goods, and any undamaged seeds may be used to grow more cotton or to produce cottonseed oil and meal. contributing factor to the outbreak of the American Civil War. 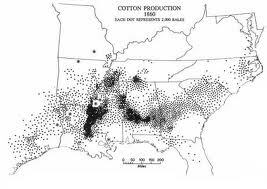 How did the invention of the cotton gin increase the demand for slavery? How did this invention help in business communication? Here is the key to the review. Classwork - Notes over the concepr of Industrialization , Urbanization and Innovation. Monday February 9th HW - How would Industrialization in America have been different without the effects from the War of 1812? HW - How would you explain the combination of canals, telegraphs, steamboars and railroads' affect on American Industrialization? Classwork - How would you compare the conditions of plantations and factories? Project - RAFT Paper: Write a RAFT paper explaining the economic factors and technological innovations that brought about rapid industrialization and urbanization and their effects on different regions. - Below is the format that was passed out in class on Monday February 25th. Profits to be made in the U.S.A. In class - go to the following website, read the information, use it as well as your observations to answer the in class questions. Homework - How would you explain the combination of canals, telegraphs, steamboats, and railroads effect on American Industrialization? Today we started our lesson with a warm-up question that asked us to talk about “cause and effect” relationships and to provide an example. In our discussion about cause and effect situations, we shared a number of examples and talked about the fact that effects are the results of actions (causes). We talked about this because American Industrialization, and subsequently Urbanization, were effects of the War of 1812. The war, which was fought against England, created a situation in America that essentially forced us to begin an alternative route to production, one that did not utilize English factories and found American businesses investing in factories in the U.S. This is the effect that the piracy and intimidation of England that led to the War of 1812 resulted in. Class discussion ended in a brief foreshadowing of how this new Industrial base in America blossomed as settlers headed west to tame the lands we just learned about in our last unit, as new markets opened up for the industrial products being produced. This all would be connected by a vast railroad system that connected the Atlantic coast with the Pacific and the northern borders with the southern. Cotton Gin - machine that cleaned cotton fibers from the seeds and other things caught in the fibers. The invention of this machine multiplied the amount of cotton that one person could clean in a day by fifty (50) - that made cotton a MUCH more profitable crop. Steamboat - invented by Robert Fulton in 1807, it was boat that was powered by a steam engine. This allowed river travel to go upstream, essentially making rivers two way highways! Interchangeable Parts - this concept was invented by Eli Whitney, the same guy that invented the cotton gin. The idea was to make products out of parts that could be "inter-change" (swapped) with parts in an identical product. Question to go with above reading: What was production like at the eve of the Industrial Revolution? you feel they were important.